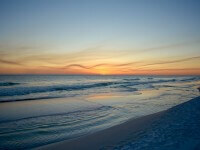 Hilton Sandestin Beach Golf Resort & Spa is one of the best Florida beachfront resorts around. Why? Because we’re always introducing something fresh and exciting for our guests — from new beach getaway deals to new menu items and more. Looking for an excuse to get away this season? Try our new Spring Escape Package, offered from March 1 - May 25, 2017. 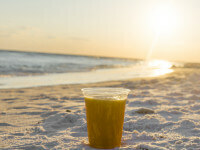 This beach getaway deal has everything you need to enjoy a weekend in paradise. Wake up early to catch a sunrise over the water, then indulge in an over-the-top breakfast buffet in Sandcastles Restaurant. 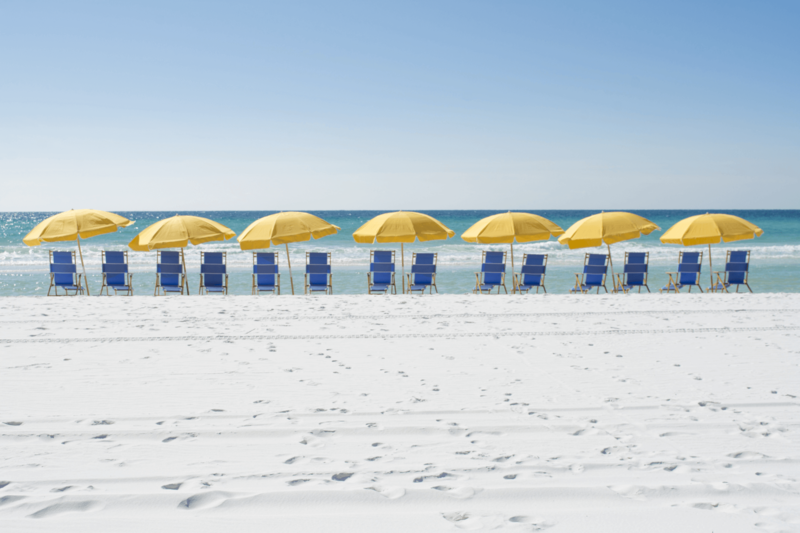 Hit the beach for a day of fun in the sun, and don’t worry about finding a great spot on the sand — we’ll reserve an umbrella and two chairs along the water just for you. We’ll also throw in two drink vouchers per reservation so you can cool down with a refreshing cocktail. 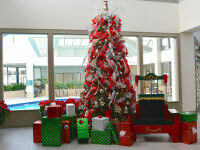 Rates starting from $229, with a minimum 2 night stay. This beach getaway deal won’t last long — book now! We always strive to keep our resort feeling fresh and modern and this year we’ve updated the look and feel in some of our rooms. Our Parlor Suites, a popular option for business travelers and families alike, feature a separate master bedroom and bathroom, and a spacious living area, which leads out to a large, furnished private balcony with stunning views of the Gulf. Now, we’ve amplified the wow factor of that view even more, with all new floor-to-ceiling windows in every one of our Parlor Suites. 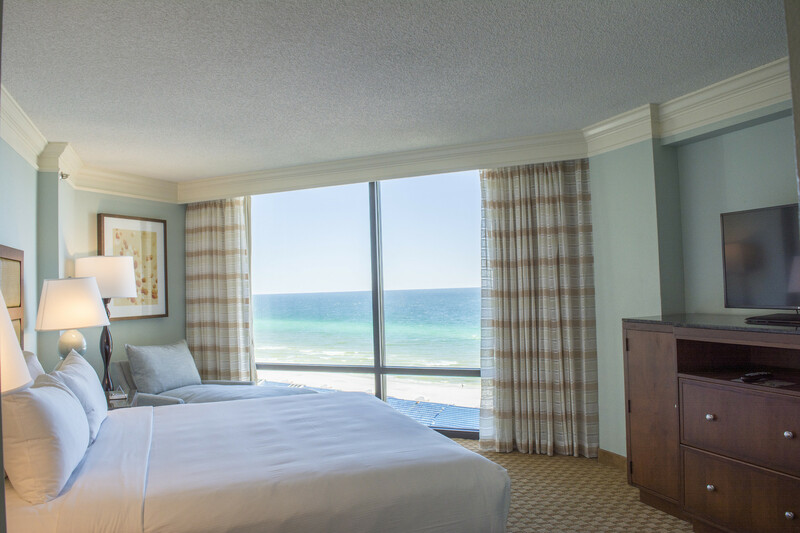 Spacious rooms, amazing views — what more could you want at a Florida beachfront resort? We’ve also got some news to share on the culinary front. 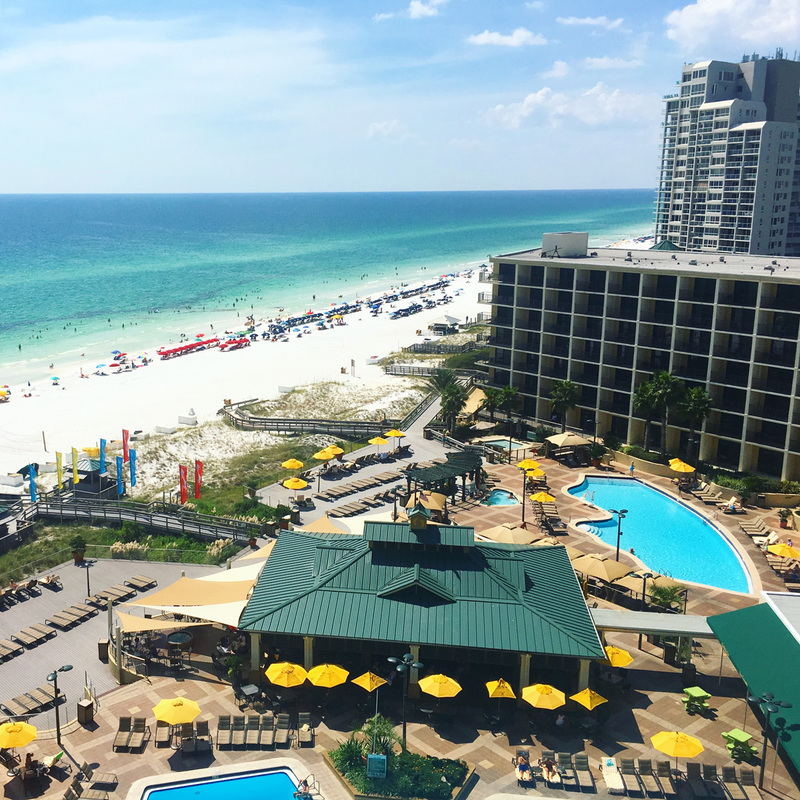 Hilton Sandestin Beach is well-known for it’s array of delicious surf and turf cuisine and Gulf views. But this spring, our poolside grab-and-go market is introducing something new and unique. Picnix Poolside Market will now serve nine gourmet hot dog offerings. The new menu features classics like the Chili Dog, and some inventive selections like the street dog, featuring herb cream cheese, grilled onions and peppers. Guests can also take a trip around the world — with the German Dog, Mexi Dog and Greek Dog all donning the new menu. Here for a few days? Try them all! No tough decisions necessary. A new hot dog menu isn’t the only culinary news we have to share this spring. Our beloved team member Dan Vargo has been named executive chef for the property. Vargo previously served as executive chef of Seagar’s Prime Steaks & Seafood — our on-property AAA Four-Diamond steakhouse — for five years. In his new position, Chef Vargo will blend Baltimore's traditional and historical influences, a Martha’s Vineyard’s emphasis on organic produce and seasonal seafood, and world-class standards into all of our on-site restaurants and dining venues. We look forward to announcing more inventive, new dishes and inspiring menus as he settles into his new role. We’re also excited to announce Laurie Graupner has taken over the reins as at Seagar’s Prime Steaks & Seafood. Previously serving as sous chef under Dan Vargo, Graupner will now serve as executive chef. Last but certainly not least, we always do whatever we can to make sure our guests have a great experience here at the resort. And that means listening to our guest feedback and making adjustments to better suit your wants and needs. As a result of your feedback, we’re happy to announce that we’ve added over 50 new umbrellas to the pool deck this year. Now, there’s plenty of space for everyone to enjoy the deck, and more shade to provide a retreat from the sun. Keep that feedback coming — we’re here to make sure you have the best beach getaway possible.